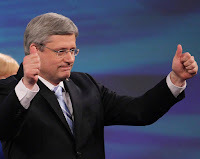 I was sorry to hear that former Prime Minister Stephen Harper resigned his seat in the House of Commons, yesterday. 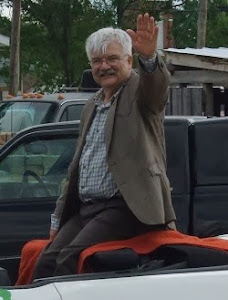 He has represented the good folks in Calgary Heritage very well for a number of years. And as prime minister he represented all Canadians very well, too. I believe that Stephen Harper was one of Canada's most influential leaders of the last century and the first part of this one! His legacy will be vast and varied. For one, he was instrumental in patching up a fractured federal conservative landscape and leading the new Conservative Party on to make it once again a strong part of Canadian federal politics. His work in international affairs, free trade, and finance was landmark! His defeat in the last federal election hit him hard personally. I wish he would have stayed on as leader and stick-handled a few rounds with our new Prime Minister. I would have loved to see that. It was said once that Harper loved humanity, it was just the people he hated. I sincerely doubt there was any truth to that at all! I think throughout his tenure as our Prime Minister, he remained a very private and shy man. We got glimpses of his personal side when we heard him play piano and sing, or when he talked about his total love of hockey, but they were only glimpses. But it was very obvious to me and many others that his focus was always on a love and respect for his family, his nation and Canadians! Mr. Harper will be entering into the consulting world with his new company; Harper and Associates. I know he will succeed there, too. So to Stephen Harper, a huge thank you from this proud Canadian. I wish you well in all your future endeavors. And I am thankful you were able to lead the federal government of the greatest country on Earth.